If you are looking for a traditional way to cook in your kitchen then a solid plate electric cooker could be the perfect choice for you. 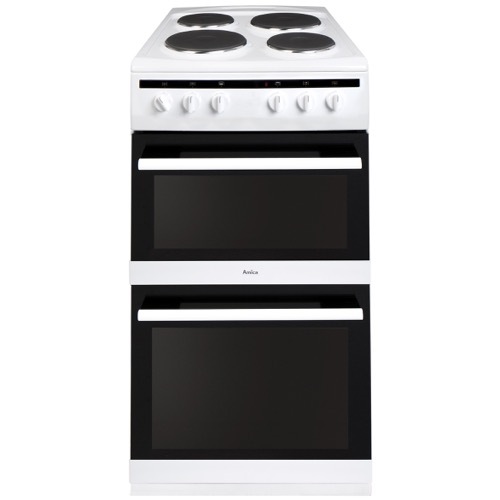 Our range of electric cookers are available in a snug 50cm width or a more substantial 60cm, with a choice of either single or twin ovens and 4 cooking plates on the hob. The single oven models have a handy storage drawer built into the design to tidy away pots and pans and every cooker in this range comes with a Procook roasting tray to help you create special meals for the whole family. Choose between smart stainless steel or classic white to create a look that matches your style. 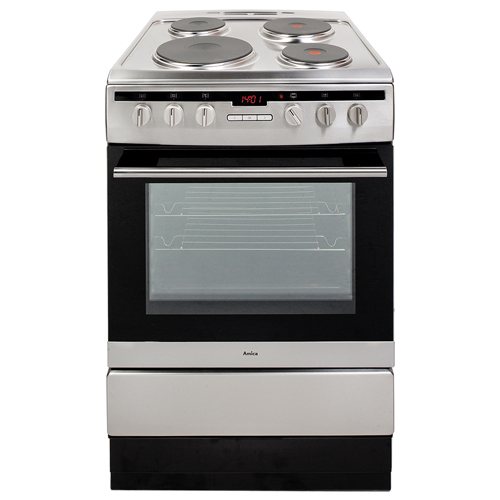 The 508EE1W is a four zone solid plate hob with an electric oven. The freestanding cooker has a knob control panel along with a double glazed removable door with removable inner door glass for easy cleaning. 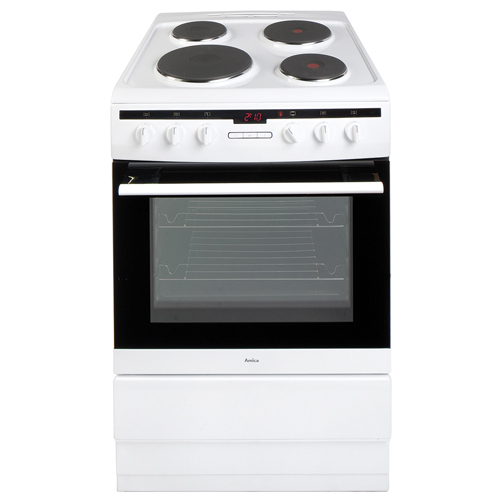 The AFS5500WH is a 50cm freestanding electric double oven with an electric solid plate hob. 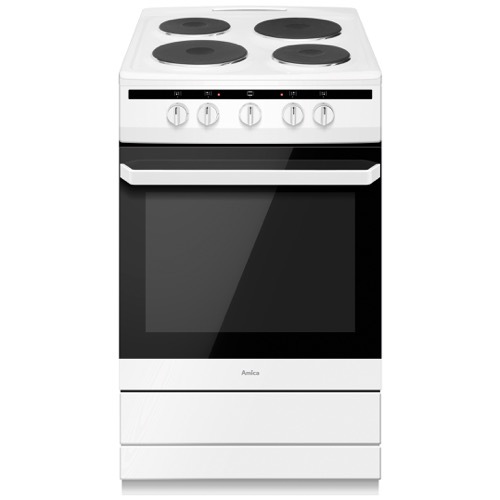 The hob has 4 zones with 1 rapid plate and 6 power levels. The double ovens both have double glazed doors with removable inner door glass for easy cleaning, an interior light and a removable top oven door.